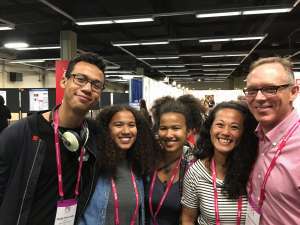 Wendy Chou entered the hemophilia world 17 years ago when her son was diagnosed with Severe Type A Hemophilia after falling over a box and sustaining an injury at 11 months old. After almost losing her son as a result of a delayed diagnosis and receiving a misdiagnosis of juvenile arthritis for her daughter (where she was prescribed blood thinners), Wendy decided that the only way to ensure her children’s safety, health and happiness was to become their advocate. This led to her involvement in the New York City Hemophilia Chapter (NYCHC). Wendy helped to launch NYCHC serving on its board from 2008 to 2018 in various volunteer capacities, including most recently as its President. She has also served as Vice President, Chair of the Programs and Services Committee, Chair of the 2015 Education Day Committee, and Co-Chair of the 2009 and 2010 NYC Hemophilia Walk. Additionally, she was elected to represent NYCHC as its board representative at the Hemophilia Federation of America (HFA) from 2011 to 2015. In her professional life, Wendy is an entrepreneur focused on strategic marketing, communications, and events. She is the Founder of Dealmaker Forums, which organizes high-interaction conferences, as well as CEO of CHOUmedia, a communications firm that specializes in complex fields where traditional marketing approaches are not enough. Wendy is a recent empty-nester living in Brooklyn with her partner Charles Eldering. She has 19-year-old identical twin daughters and an 18-year-old son. Her son and one of her daughters have Severe Type A Hemophilia, and Wendy and her other daughter are carriers. Kim S became part of the community in 2016 when her 8-month-old baby was diagnosed with hemophilia. The diagnosis came delayed after months of discovering large bruises all over his body. The doctors didn’t have answers and even suggested abuse might be the cause. Two weeks after her son’s arm swelled to almost three times its size, he finally got diagnosed properly after tearing his frenulum and bleeding for two days. Since that day, Kim S and her family have become highly involved with the hemophilia community and New York City Hemophilia Chapter as both a volunteer and advocate. Kim attends both Washington and Albany Days and became a founding member of our Advocacy Committee. She has helped to launch our regional Advocacy Captain program and in-district Legislator Breakfasts. Kim has served on both our walk and gala committees. In 2017, one year after receiving her first son’s diagnosis, she dedicated her second Baby Shower to Team Baby Bump at the 2017 Hemophilia Walk. The following year, the Team debuted as Team Double T – dedicated to her two sons with hemophilia. Through her walk efforts alone, Kim has raised almost $20,000 to support New York City Hemophilia Chapter and our expanding advocacy efforts. 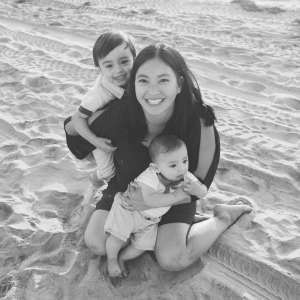 Sara Louie has no blood relation to the Hemophilia community, however with her decade of service, she thinks of NYCHC as family. In 2009, Sara began volunteering with the chapter during its first Holiday Party, now expanded to Education Day. Moved by the closeness and warmth within the community, she continued to volunteer at other major NYCHC events such as the Annual Walk, Walk Kickoff, and Spring Event. For several years, she took care of the children’s area at Education Day and photographed at gala. In 2010, she joined the walk committee and became the volunteer coordinator for the annual walk, assisting with recruiting and managing a growing number of volunteers as the walk grew in size and location. Through her commitment to volunteering since beginning high school, Sara has become a familiar face to the many families and supporters of NYCHC. Deep within the Kiwanis and Circle K volunteer network, she has connected many student groups of volunteers to NYCHC. Many of whom have followed her lead in becoming dedicated volunteers year after year, taking on different capacities including joining Walk and gala communities. Now post-undergrad, her passion for service is seen in her work life as well. Sara was a Newman’s Own Foundation Fellow at SeriousFun Children’s Network from 2017-2018, where she supported Camp experiences for children living with serious illnesses. Over the years she has heard the love NYCHC children have for SeriousFun camps. 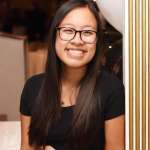 Sara credits volunteering with NYCHC as the reason she felt deeply connected and passionate to work towards their mission in serving those living with serious illnesses like Hemophilia and the impact of purposeful programming. With SeriousFun, Sara seeked to support and enhance the global network of camps in sustaining programming for campers and families, often thinking back to the children she has gotten to know at NYCHC events. In her free time, Sara enjoys traveling and practices meditation and yoga. With degrees in Sustainable Development and Digital Photography from CUNY Macaulay Honors College, Sara endeavors to be a nonprofit professional and to help share stories of those around her.